There are tons of reasons behind the onset of headaches. Some of the typical causes are stress, hormonal imbalances, low blood sugar, fatigue, constipation, allergies, poor posture, nutritional deficiencies, alcohol consumption, drug addiction, dental issues, head injury, neurological disorders, loud surroundings, etc.. Sometimes we might even suffer from the combined effects of one or more of these factors, which are certainly more acute and painful. Why Essential Oils For Headaches? Extracted from the plants called Eucalyptus Globulus and Eucalyptus Radiata, this essential oil is enriched with the anti-inflammatory oxide 1,8-Cineole. It works as an expectorant that detoxifies the body and opens nasal airways to reduce sinus pressure and the headaches associated with it. These eventually help in treating edema, cold & cough, runny nose, sore throat, anxiety, etc. 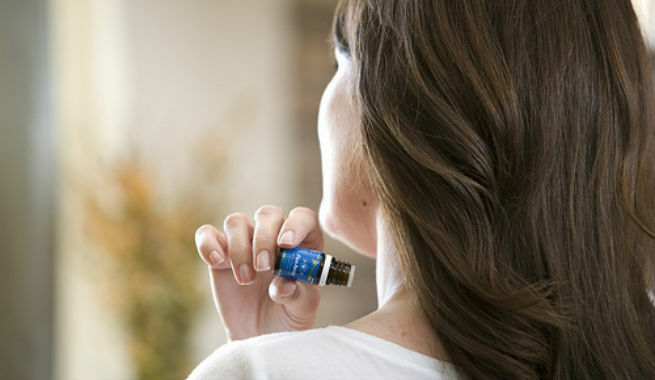 At the same time, eucalyptus essential oil also gives our mood a boost by ensuring emotional stability. Application: Mix 2-4 drops of eucalyptus oil with a carrier oil and apply the mixture to forehead, temples, neck and chest respectively. Being rich in esters or linalyl acetate, lavender essential oil holds excellent anti-inflammatory, anti-depressant, analgesic, and sedative properties. It works directly on our limbic system and alleviates stress, anxiety disorders, muscle tension, depression, restlessness, insomnia, and certain neurological conditions. This is helpful in keeping migraine and nighttime headaches at bay. Application: Pour 10 drops of lavender essential oil into a bathtub filled with warm water and take a relaxing bath. Otherwise, simply mi 5 drops of the oil with a carrier oil and apply to your temples, neck, and wrists. The high percentage of menthol makes peppermint essential oil an amazing reliever of pain and headaches. It slows down muscle contraction and stimulates blood circulation throughout the forehead and temple areas while inducing long-lasting cooling and calming effects. As a result, we get rid of tension headaches and feel relaxed. Application: Take 2-3 drops of peppermint essential oil and dilute it by blending with coconut oil. Apply the mixture to your forehead, neck and shoulders thoroughly. When it comes to the most widely used essential oil in folk medicine, rosemary surely tops the list. It is a natural anti-inflammatory, analgesic and stimulating agent that can keep triggers like stress, upset stomach, emotional turmoil, etc. away, thereby reducing the occurrence of headaches to a large extent. Rosemary essential oil also improves blood flow, sleeping patterns and personal orientation. Application: Add a single drop of rosemary essential oil to a glass of water, a bowl of soup or simply the cup of your evening tea and consume. The anti-inflammatory and sedative properties of Roman chamomile essential oil are quite similar to those of lavender essential as it also contains esters or isobutyl angelate. It is mostly used as a therapy for evening or nighttime headaches and plays a key role in soothing our muscles and nerves. 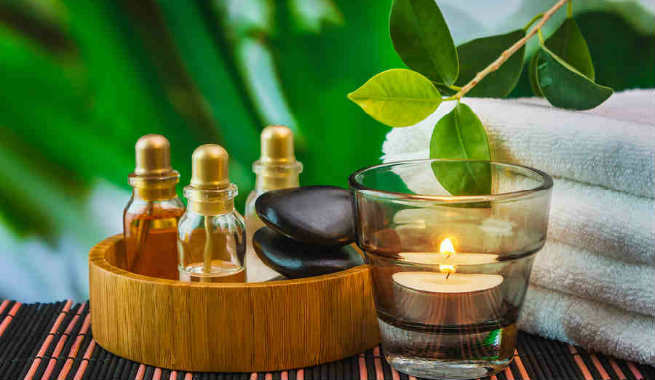 Apart from these, there are also helichrysum essential oil, spearmint essential oil, rose essential oil, Melissa essential oil, and marjoram essential oil, which are quite popular for their capacity of treating headaches effectively. Lastly, here is a small word of caution for you. While using essential oils for headaches, it is always good to dilute it beforehand to avoid any sort of sensitivity. 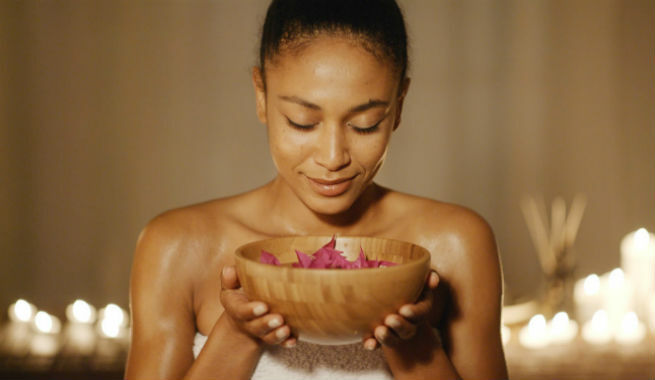 Embrace aromatherapy and say ‘BYE’ to headaches!